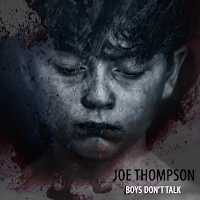 New UK indie-pop artist Joe Thompson has released his new single, the intelligent and moving Boys Don’t Talk. Produced by Ed Heaton (NARCS/ Daniel Pearson/Micky P Kerr/Fold), the new track explores the difficult and painful subject of mental health through the prism of the young West Yorkshire singer-songwriter’s fragile electropop. Joe Thompson blends the upbeat, joyous energy of synth-pop choruses with emotionally charged lyrics, tackling all topics from Post-Brexit Britain to mental health. Avoiding the clichés and easy avenues of laddish indie-rock and mainstream pop, Thompson takes a defiantly personal approach to his songwriting with the aim of creating an authentic connection with his young and growing audience. Find Joe Thompson on Twitter at @joe_th0mpson, on Instagram at instagram.com/joe.th0mpson and Facebook at facebook.com/joethompsonmusicc now.